Tomorrow I am second shooting for an Orange County photographer in San Luis Obispo. Getting ready for that event reminded me of the events where I had opportunity to second for Kaitie Brainerd Photography . 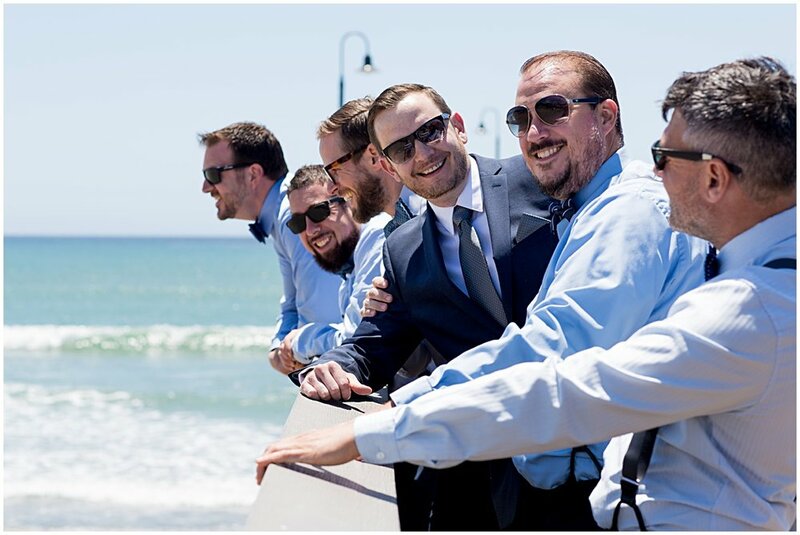 As a second shooter, I often have to wrangle up the groomsmen for pre-wedding getting ready moments and group photos. Sometimes this can be a challenge because– well you know, antics ensue when guys get together! Aside from making pictures, this often also involves ironing shirts, tying bowties, fixing cufflinks, and generally ushering the process along so we get them to the venue on time! This group was particularly awesome and entertaining. The backdrop in Cayucos made for an interesting setting. We took over an historic little downtown bar and galavanted down the pier for some fun photos! Loved this day and the opportunity to work alongside this awesome LA photographer! If you want to see the lovely full capture of this wedding by Kaitie, click here!